Spring and summer in Colorado bring beautiful colors and temperatures, but with them come severe thunderstorms that are capable of causing significant damage to your home and roof. When we get hail in Colorado, it hits hard and fast, leaving its mark on your roof that can be difficult to see. The type of hail that will fall differs from region to region, affecting our service areas of Denver, Highlands Ranch, Colorado Springs, Fort Collins, Greeley and Cheyenne. Depending on the size, shape and hardness of the hail, damage can come in the form of small indents or actual tears in your roof. Even with small indents, in the right conditions and with certain types of roofs, any bruises from hail can eventually lead to major leaks. By the time you start experiencing the leaks, it may be too late to salvage even the undamaged parts of your roof. If you think you sustained hail damage from recent storms and need to get your roof repaired, ACT NOW. Not only can hail damage threaten the integrity of your roof, but your homeowner’s insurance will often have a statute of limitations on claims. Usually you can’t spot hail damage from the ground because of the small indents it creates on shingles. After the storm, you may see obvious damage to things such as your car or home siding so it is safe to assume the storm also affected your roof. 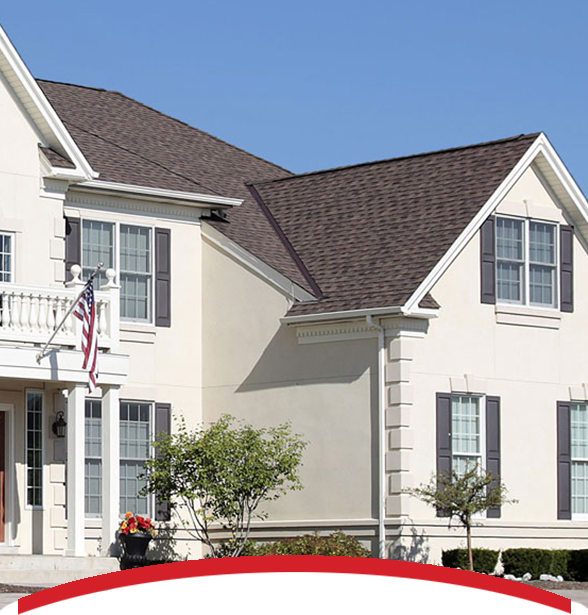 Because the damage from hail is often invisible from the ground, it’s important to have an experienced, professional inspector and insurance claim specialist check your roof as soon as possible. CAREFUL, it’s also not safe to get up on the roof yourself to check for hail damage. If you need an expert to come and inspect your roof for hail damage, call Interstate Roofing and we’ll inspect your roof for FREE.